Picture a billboard the size of those seen from the highway that is memorably flown directly above targeted locations instead of sitting stagnant on the side of the road, waiting for the right people pass by and respond. 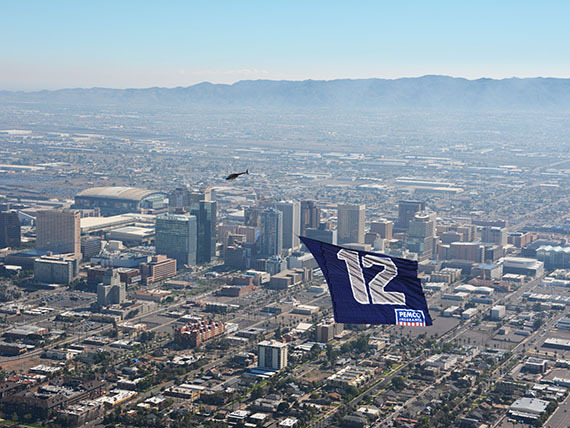 That's the power of aerial billboards! Logo boards are perfect for companies looking to help current or potential customers connect their brand with their slogan or a new offer, in a way that can't be missed. Campaigns are laser-targeted to events for specific audience demographics. 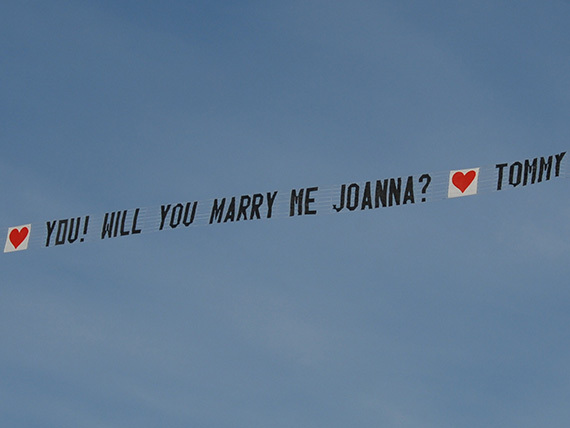 Airplane letter banners are the option that allows smaller businesses and individual persons on a limited budget to experience the effectiveness of aerial advertising for their customers or to communicate emotions for a special occasion. 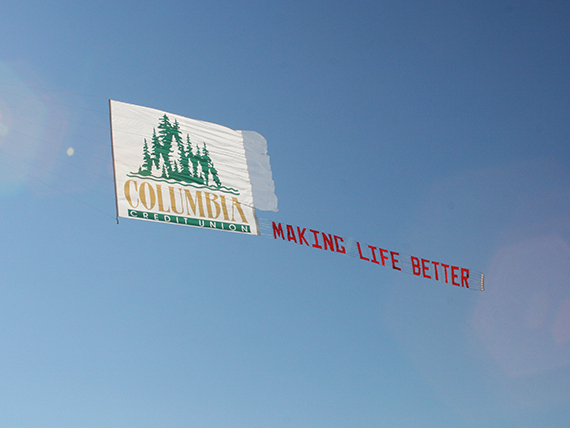 Helicopter banners are the juggernaut of the air. 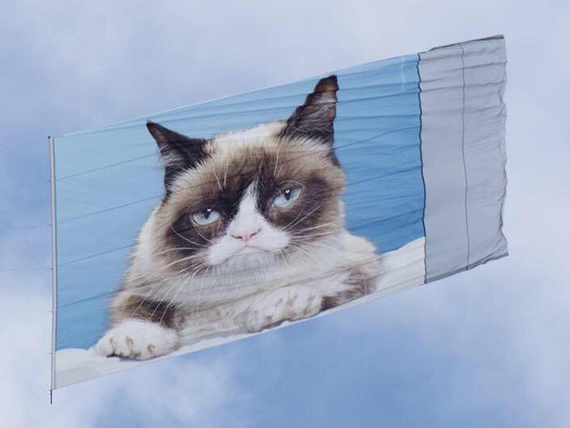 These massive banners ranging in size from 10,000 to 50,000 sq. ft. will showcase any message in such a stunning way that onlookers’ jaws to will drop and compel them to share their experience online.